For the past two weeks, I’ve been using a teeth whitening system called Smile Brilliant. 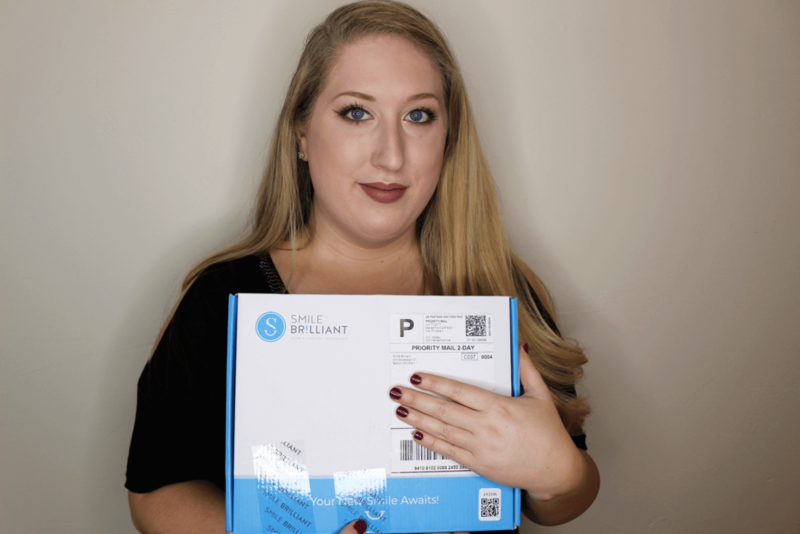 I had not heard of Smile Brilliant until a representative with the company reached out to me and asked if I would be interested in receiving a complimentary teeth whitening kit in exchange for writing an honest review of the product on my blog. I, of course, said yes, because who would turn down that opportunity? Now that I’ve completed the whitening process, I’m ready to share my candid thoughts on the Smile Brilliant system. 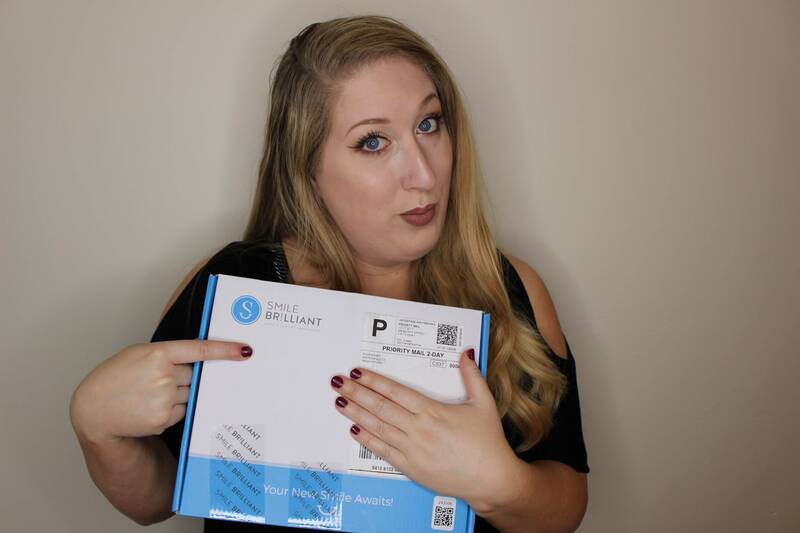 Before we dive into my results and review, let me first explain what Smile Brilliant is. Smile Brilliant is a home teeth whitening system that lifts stains from your teeth and returns them back to their natural whiteness, without looking fake or overly bleached. The process and level of whitening are comparable to that of procedures offered at the dentist’s office, however, is much more affordable in price (kits start at $129 USD). 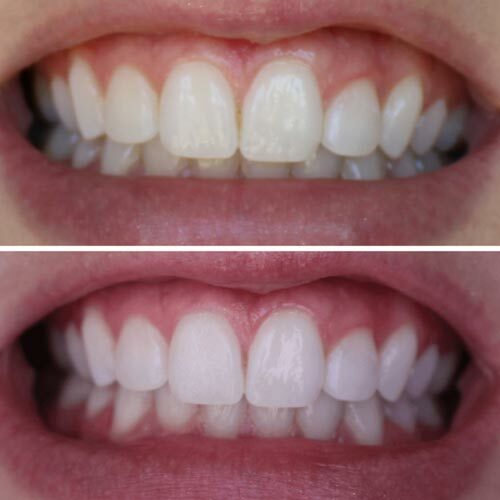 Both the system & whitening process are very simple – no lights, no mess, no fuss. Plus, you get to whiten around your own schedule. What makes Smile Brilliant unique is the fact that they have you create molds of your teeth (at home), and later send you custom fitted whitening trays. They also give you a special desensitizing gel, used post-whitening, that puts vitamins and minerals back into your teeth, vitamins, and minerals that were lost during the whitening process. What’s Included in the Smile Brilliant Kit? I was skeptical at first about how well the whitening kit would work for me, as I had fairly white teeth to begin with. I also have somewhat sensitive teeth, and never much enjoyed the soreness and sensitivity my teeth and gums had with previous teeth whitening experiences. To my surprise, the product was successfully able to whiten my teeth, and rather fast at that. Out of the four whitening syringes I received (which yield 3-5 uses each) I only used two, but probably could have stopped after the first one. I achieved my desired whiteness in about three one-hour sessions. I did experience a bit of sensitivity while using Smile Brilliant, mostly during the first two whitening sessions, but it seemed to lessen as my teeth and gums became used to the product. The desensitizing gel also helped eliminate a large portion of the residual sensitivity post-whitening. Of course, I wasn’t completely without sensitivity during the next few days, but it was very mild. I was eating Halo Top ice cream during the days I whitened, so I think that speaks for itself. Overall, I am very impressed with the Smile Brilliant teeth whitening kit. I didn’t initially have much faith that my teeth would get whiter, but they certainly did, especially along the gum lines and hard to reach places. 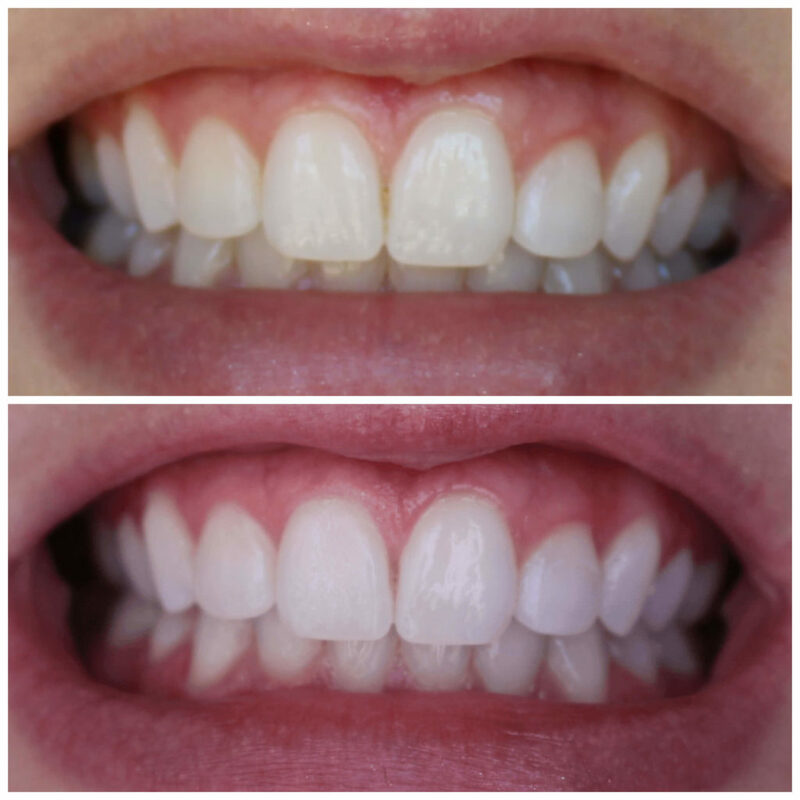 The custom fit trays allowed the product to get in the nooks & crannies, making my teeth look one uniform color. 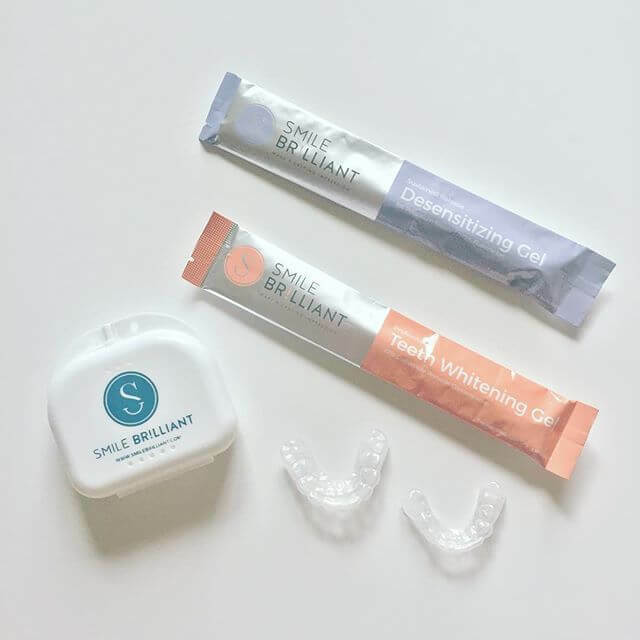 I do think Smile Brilliant is great for those who have sensitive teeth, as most other whitening kits do not contain a desensitizing gel or product that adds vitamins & minerals back into your teeth and gums. I honestly think the desensitizing gel is key in this whole experience and made me feel more at ease. 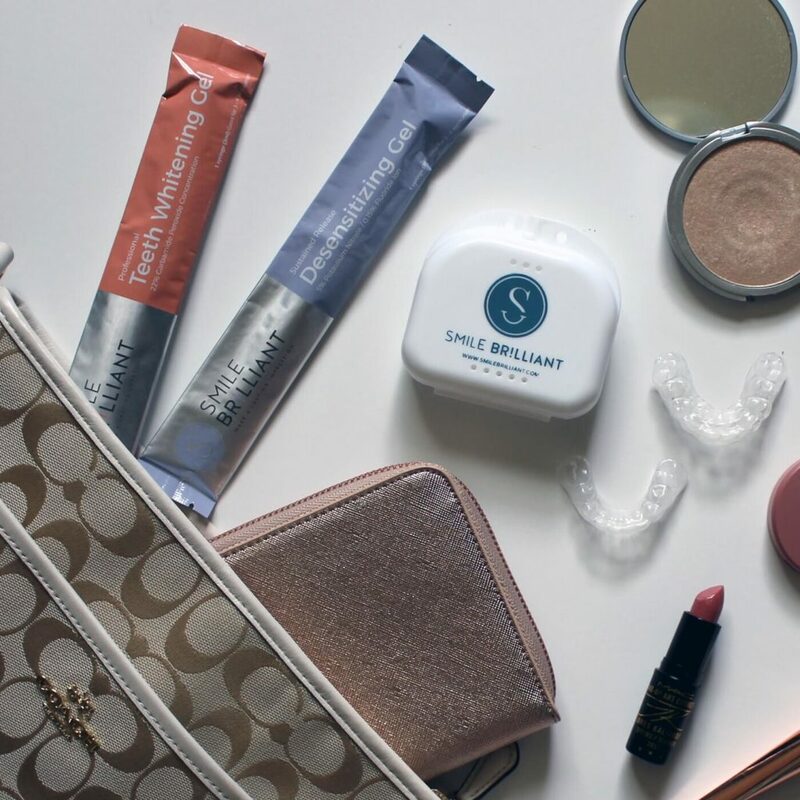 Smile Brilliant isn’t the cheapest whitening option on the market, but for the quality of the product and results, it’s worth the price tag in my opinion. Having tried a lot of other whitening products I can tell you off the bat that no other products were able to get my teeth quite this white while simultaneously keeping the sensitivity to a minimum. I would purchase the Smile Brilliant whitening kit, had it not been gifted to me. Smile Brilliant has graciously decided to include a giveaway for my followers! The prize consists of $139 worth of store credit, enough to buy the T3 Sensitive or T3 Non-Sensitive System for yourself! 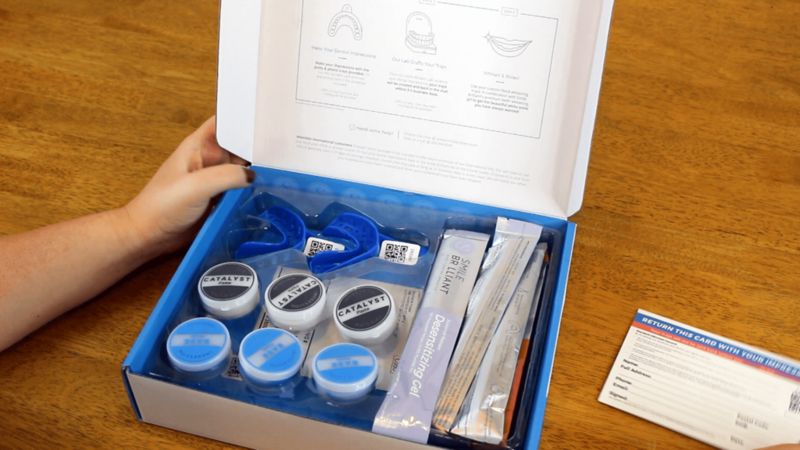 I hope this review helps you decide whether or not the Smile Brilliant sensitive teeth whitening kit is for you! If you are interested in purchasing a kit, you can save 10% off your order using my affiliate code, simplystephaniekay. Don’t be afraid to ask questions! Stay Beautiful, Inside & Out! Disclaimer: May contain affiliate links. Product was gifted to me for reviewing purposes. I was not paid for my review. All opinions are my own and are valid only during the time of review. I am not a healthcare professional. Nothing stated above should be used in lieu of professional medical advice. Consult your dentist before use.